Manage your notes, projects, and passwords more efficiently with these tools. Windows 10 has plenty of built-in features to help you work more effectively. But a careful search of the Windows Store will uncover some apps that complement and even work with Windows tools. Here are three gems we unearthed. 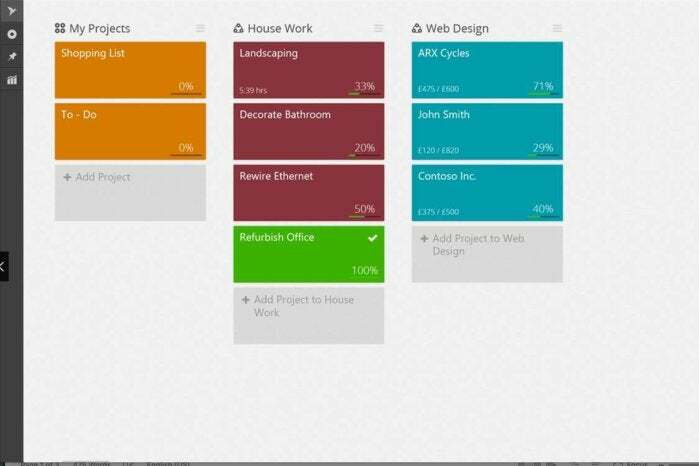 If you do project-based work, you probably use separate apps to track your tasks, time, and money. That can make it a challenge to see how those factors affect each other. Eclipse Manager simplifies this by combining all those capabilities into one easy-to-use app. Eclipse Manager lets you track your tasks, time, and costs from a single app. This lightweight project manager’s clean interface makes it easy to prioritize and manage to-do’s and see your project status at a glance. Better still, you can also review multiple projects together with all your tasks grouped into priorities to ensure that everything gets done on time. And because the app also tracks your hours and costs, you can see how these investments are paying off using graphical and text reports to be sure you’re working efficiently. Most of Eclipse Manager’s features are available in the free version, except for the ability to track costs. For that, along with features like offline usage and the ability to export to Excel, you’ll need the Pro version, which runs $2 per month. Note-taking apps are a dime a dozen. But this one stands out because it works with, not merely on top of, Windows. Action Note integrates with your Windows 10 Action Center. That means whenever you open the latter, you can view your notes along with other notifications. This quick-and-easy access also extends to creating and deleting notes. This may sound like a small thing, but the time it shaves off opening and toggling to a separate notes app can make a big impact over a day. Action Note also supports live tiles and audio playback of your notes. It’s free to use, but an in-app purchase is required to unlock “pro” features like the ability to sync notes across Windows 10 devices. You can’t get much done if you’re constantly trying to remember your passwords and other credentials for the various services you use. That’s why a password manager is an essential part of any productivity system. If you’re uncomfortable storing such sensitive data in the cloud, though, Enpass might be the tool for you. Enpass saves and secures your passwords locally on your PC. Enpass stores your logins, bank account credentials, credit card numbers, and other personal data right on your device, securing them using AES 256-bit encryption. 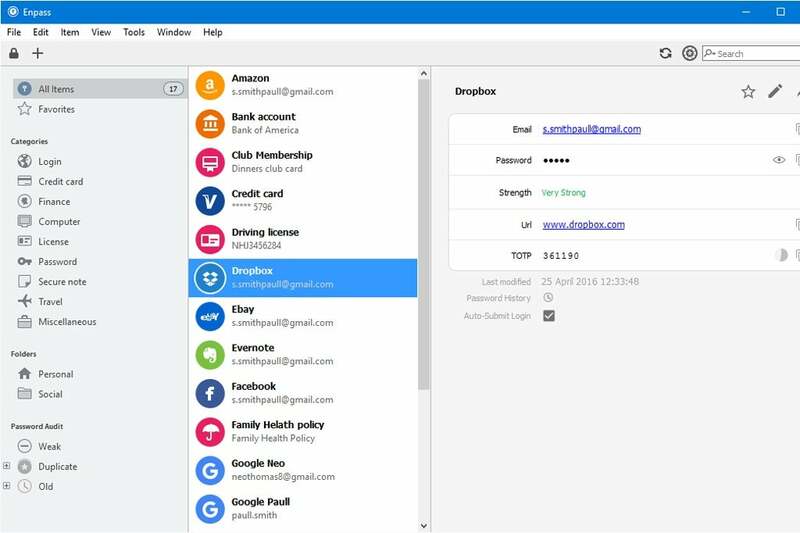 It has many of the features offered by cloud-based password managers, including a password generator, autofill, and password auditing to make sure your logins are as strong as can be. It even integrates with Cortana. If you do decide you want to sync your data, you have the option of doing it over popular cloud accounts including Google Drive, Dropbox, and Microsoft OneDrive. Enpass is free for Windows 10 desktops.